Following up on my earlier post on Ruth Leys’ new book, The Ascent of Affect, Walter Benn Michaels has alerted to me to a new essay, published just yesterday, in which he clearly articulates some of the conceptual distinctions between experience, meaning, and intention that are central to what I dubbed the “nonsite school” approach to issues of affect and aesthetics. It turns out that the single most visited post on this blog is, still, from 2011, discussing Ruth Leys’ rather wonderful take-down of affect theory in Critical Inquiry (apart from anything else, this is an important lesson about always giving the things you write a decent title – a lesson I learnt a long time ago). 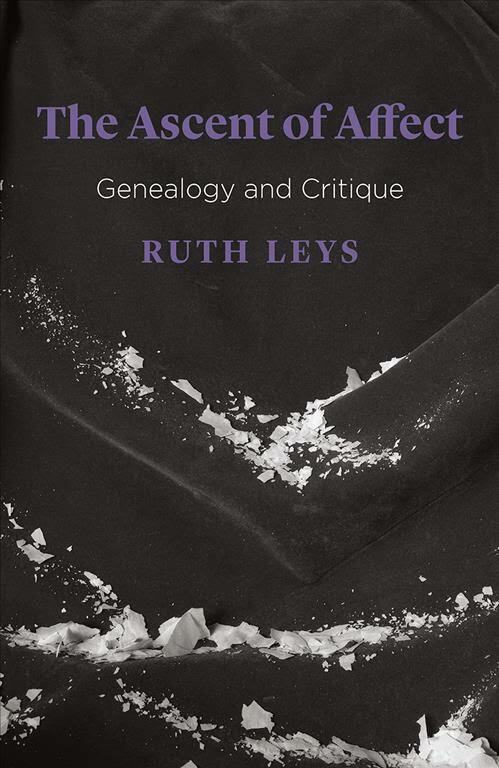 Leys’ CI critique of theories of affect in the humanities and social sciences is one part of her broader genealogy of the human sciences. Her new book, The Ascent of Affect, is, she says, the third in a trilogy alongside Trauma and From Guilt to Shame. The new book is a sustained critical engagement with debates within and over the sciences of emotion that provide the more or less acknowledged background of social theories of affect and non-representationalism (in so far as there is any claim at all in these theories that the grand metaphysical generalisations one can derive from reading Deleuze and others aren’t just made up – to a considerable extent, these theoretical fields inadvertently offer themselves up as exemplars of the ‘autonomy of affect’, to the degree that ontological claims are simply asserted as beyond dispute and thereby effectively immunised from any critical scrutiny). The emphasis in Leys’ account is on disputes and disagreements within this scientific field – the dimension which makes any authoritative appropriation of such fields to settle arguments within the social sciences and humanities so problematic. 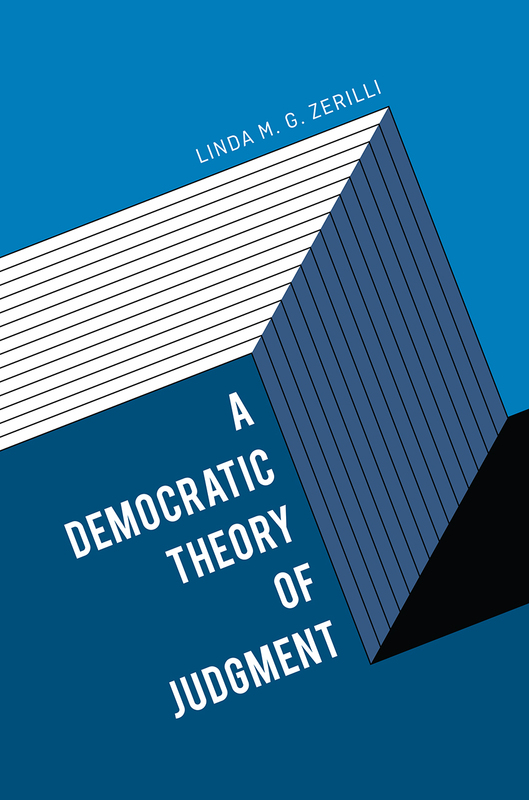 The Ascent of Affect came at the end of a year that I had begun by reading Linda Zerilli’s equally wonderful A Democratic Theory of Judgment, a work of political theorising not of genealogy, but one which also engages critically with the turn to affect in recent cultural and especially political theory. In her book, Zerilli takes my characterisation of the layer cake ontology of non-representational theory as pretty much capturing the essence of affect theory more generally, which is very flattering. The combination of an architectural vocabulary of levels with a vocabulary of temporal priority (all those feelings and inclinations kicking in before anyone is even conscious of it…) is the recurrent rhetorical feature of a whole genre of affect theory, and it connects it with a much broader cultural world of psychologised neuro-commentary (Jessica Pykett has recently elaborated on some of the implicit spatial assumptions one finds in popularised versions of neuroscience). It’s a feature that discloses what I would be inclined to call, ripping the phrase off from Gilbert Ryle, the logical geography of action that distinguishes this field – this theme is just now beginning to come clear for me as the focus of next book, now that the flurry of excitement associated with publication of the last one has died down. Zerilli presents Ruth Leys and myself as providing two distinctive critical perspectives – as ‘affect theory critics’ – which again is flattering (I only ever wrote one paper and a couple of blogposts, whereas you can find the emerging outlines of Leys’ more recent sustained critique not only in her Critical Inquiry piece but also in those earlier books as well). Both Zerilli and Leys present me as accusing affect theorists of ‘cryptnoromativism’ – of not being able to able to defend their normative preferences with reasons because, as Zerilli puts it, for them reasons “always trail after affect-driven preferences”. 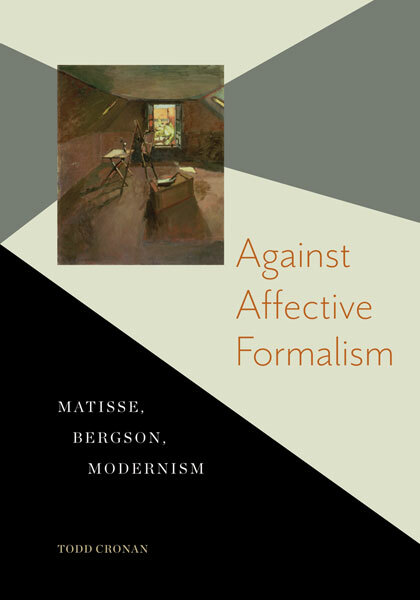 Leys, on the other hand, sees the problem as an inability or unwillingness on behalf of advocates of the autonomy of affect to take any normative position at all – as she puts it in her new book, for affect theorists “preferring democracy to despotism is life preferring tea to coffee”. The stronger point she is making is that affect theory closes down any sense of disagreement as a dimension of life – it’s a theme developed much more explicitly in Todd Cronan’s critical account of the affective turn in aesthetics in Against Affective Formalism– where the recurring argument is that appeals to the causal power of affect have the effect of closing down any space not just of intentionality but also therefore of interpretation, and that herein lies the political unconscious of those appeals, registered in the erasure of any scope for legitimate disagreement or dispute. Leys uses my argument to specify her own point, suggesting that there is no a contradiction at all between avowing progressive causes and affirming the power of affective priming but a considerable degree of consistency precisely because the former are indeed taken to be mere personal preferences (strictly speaking, I don’t think I did rely on a sense of performative contradiction in my discussion of non-representational ontologies, which is not after all the same thing as cryptonormativism – I happen to think, more generally, that the real problem across these debates is the authoritative appeal to ‘ontology’ (or, ‘the made-up’, let’s call it) in a way that forecloses on the significance of normativity to life, which I think is a rather similar worry to Leys’ worry about the elision of intentionality). The issue that Leys’ genealogy of disputes over the science of emotions – and especially over the validity of the affect program theory of basic emotions proposed by Sylvan Tomkins, the thinker championed by Eve Kofosky Segwick in the pivotal text in the turn to affect in the humanities – clarified for me is a key contrast, one that cascades through social theory and humanities debates about affect, between two quite distinct images of the social. Noncognitivst and anti-intentional interpretations of the emotions tend to hold to images of isolated monads, housing a brain, buffeted by external stimuli. The social here stands as an external, totalising environment (call it an ‘atmosophere’, perhaps?). It’s a very traditional image. Leys reconstructs a counter-tradition that holds to a view of mindedness as contextual and ecological, and thereby has lots more to say about issues of intentionality. The difference might be captured by the shift in the meaning of ideas about unconscious mental activity which Leys mentions in her book. The unconscious, in psychoanalysis, is a “dynamic-conflictual” concept, and it only makes any sense against a background assumption that subjectivity is intentional, just not wholly so. This idea is contrasted to a view of unconscious activities “as forms of automatic, nonconscious information processing occurring in computer-style subsystems capable of acting independently of the mind’s conscious control”. 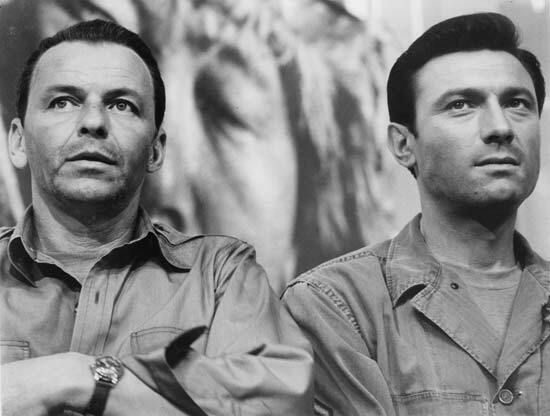 It is this second sense of ‘unconscious’, with or without the scientific references, that is the operative usage in arguments in GeographyLand and related fields which champion and/or bemoan the extent to which apparently wilful action is in fact influenced, primed and manipulated in all sorts of ways that are beyond the mind’s control. The noncognitivist strand of scientific research on emotion, with an emphasis on the on the stark separation and hierarchical ordering of systems of knowing and feeling, clear divisions between insides and outsides, the emphasis on information processing and stimulus response, and its attachment to identifying sub-personal mechanisms, informs an imagination of the social reduced to monadic pre-individuals immersed in totalising atmospheres and subjected to triggers and impulses that wholly shape them. With or without the direct reference, the analogy between this reductive, if not necessarily eliminationist, scientific imagination of the social and the imagination found in humanities and social science fields absorbed by affect theory is, well, uncanny. (There is, I think an interesting line of questioning left unexplored by Leys about the degree to which the divisions within the sciences of emotions might be related to a discernible difference amongst advocates of the importance of affect between strongly anti-intentional advocates of the autonomy of affects, which tend to invest heavily in science as the source of insights into the ontology of affect, and versions of affect theory that redistribute the relations between knowing and feeling, reflecting and doing in more creative ways – the concern, for example, with issues of attachment in Lauren Berlant’s version of affect theory suggests a refashioned understanding of the aboutness of affective dynamics, rather than a wholesale rejection of intentionality). Zerilli’s discussion of affect theory in political thought is actually rather wary of what she quite rightly identifies as the central emphasis of Leys’ critique – the problem of intentionality (recognition of this issue does not even arise in geographical discussions of these matters, beyond simplistic dismissals of ideas of intentionality and rationality as all a bit old-hat – a sign of the philosophical unseriousness of those discussions, one might suppose). I am tempted to locate Leys’ genealogy of research on emotions as part of a wider “nonsite school” of cultural criticism, since her work clearly shares a number of commitments with the broader project associated with that journal of which she is one of the founding editors – whose mission statement asserts a shared interest in “a set of theoretical topics – the ontology of the work of art, the question of intentionality, the ongoing appeal of different and sometimes competing materialisms – and in part out of opposition to the dominant accounts of those topics.” It should be said that the emphasis in much of the work associated with nonsite.org, in Cronan’s book already mentioned for example or in the work of Walter Benn Michaels, is primarily upon redeeming a certain sort of concept of artistic intentionality. 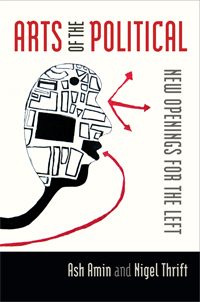 I am personally not convinced that artistic practice provides the best paradigm for thinking about intentionality, and one of the important features of Leys’ book is that she locates issues of cognitivism, noncognitivism, and intentionality more squarely in a philosophical debates, centring in no small part on issues rehearsed in the ‘McDowell/Dreyfus debate’ a while ago now. This is rather more interesting, and more ordinary, ground upon which to locate discussions about the relations between embodiment and mindedness, the human and the nonhuman, rationality and intentionality. Leys’ book raises important questions about the ways in which interdisciplinary work depends on the selective invocation of examples and on claims to speak authoritatively in one field on the basis of privileged grasp of settled knowledge in other fields. One of the central concerns of the nonsite.org ‘school’, if there is such a thing, is a focus on the implications for understandings of intentionality and interpretation of the automatism built into various artistic mediums – painting, photography, film, and so on. In one of those odd coincidences that make reading more than one thing at the same time fun, I was reading Leys’ book at the same time as I came across the cricket writer Christian Ryan’s Feeling is the Thing that Happens in 1000th of a Second, a book all about the photography of Patrick Eagar, and specifically the photos he took in the summer of 1975 (amongst other things, it’s a book that thematises the way in which photography might constitute the conditions for nostalgia – a subtext of Ryan’s story is that much of the cricket in that summer was actually a bit crap, and he presents 1975 as a cricketing year that mattered primarily because of Eagar’s photography, in all sorts of ways – a summer when “the photography of the ballet mattered more than the ballet”). Ryan’s book is all about the relationship between chance, luck, accidents and the skills and habits of the photographer, mediated by the automatisms of cameras and remote controls. Ryan’s book should be read alongside Gideon Haigh‘s Stroke of Genius, a book about Victor Trumper, but more precisely about the making and after-life of the single most famous cricket photo of them all – both tell stories about what we can learn about habitual, embodied skilled action (of the photographer as well as cricketers) from attending the process of its representation (OK, so that’s how I read them, not least ‘coz I was reading Leys’ book at the same time as reading Ryan’s, which reminded me of this dimension of Haigh’s book which was my Christmas book last year – and not least because Ley’s narrative of disagreements over the science of emotions revolves in part around a critique of the rather peculiar way in which photographs of facial expressions secure the authority of Paul Ekman’s influential research on basic emotions). And remembering the centrality of baseball to the McDowell/Dreyfus debate, it struck me that this particular coincidence is slightly less than wholly contingent on my own odd interests – one could do a lot worse than these two recent cricket books if one wants to be provoked to think more about the relationships between embodied skills, rule following, automatism, expertise, luck and the felt sense of what is doable and sayable that are at the centre of the scientific and philosophical debates that Leys dissects – there is, after all, no reason to take cricket any less seriously than the disputed fields of science that remain so attractive to certain strands of cultural and political theory. 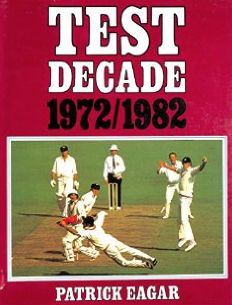 And these two books aren’t really about cricket anyway (books which are tend to be really boring) – they are about mediation, which might just be the concept that holds the key to moving beyond the dead-ends down which non-representational anti-intentionalism has led critical thought. For anyone out there interested in issues of intentionality, rationality, and, yes, affect (remember that? ), a must read is Linda Zerilli’s recent piece ‘The Turn to Affect and the Problem of Judgment’, in New Literary History (it is part of a collection of pieces on the relations between feminism and ordinary language philosophy, including other contributions by Alice Crary, Toril Moi and Sandra Laugier). Zerilli is one my very favourite thinkers, and I am looking forward to her forthcoming book A Democratic Theory of Judgment. Zerilli’s locates the outbreak of affect theory in a longer tradition of seeking to avoid excessively intellectualist images of action, including Gilbert Ryle and a broad phenomenological tradition. The really significant contribution of her essay is, I think, to zoom-in on and clarify how the sort of critique of affect theory developed by Ruth Leys and others requires a clearer elaboration of the notion of intentionality. Her essay is also important for explicitly connecting this reconstruction of intentionality to the on-going debate sparked by the disagreement between Hubert Dreyfus and John McDowell about the interpretation of ‘nonconceptual’ and ‘conceptual’ dimensions of action. This is a much more interesting philosophical terrain upon which to engage in the issues at stake in considering questions of action, embodiment, intentionality, and rationality, compared to the rather enclosed worlds of what has become canonized as ‘Continental Philosophy’. There is an interesting subtext to that debate, which revolves around the ways in which spatial metaphors are mobilized by both sides, by Dreyfus with his talk of upper floors and lower floors, and in McDowell’s reconfiguration of ideas of inside and outside and extension and reach to reconfigure mind-body relations. Zerilli develops a criticism of the ways in which affect theory holds fast to a strong separation of the conceptual and nonconceptual, thought and action, cognition and affect, which is most clearly evident in the recourse to layer-cake images of the priority of the latter over the former (I’ve argued here before that what is involved in the flight from the registers of subjectivity to assertions of the prepersonsal is a more or less acknowledged claim to monopolize a kind of 3rd person perspective on other people’s actions. It’s a move in which this style of theory displays it’s own defining lack of affect, one might say, that is, it’s lack of capacity to relate to a situation in a sensitive and appropriate way). Zerilli grants that affect theory addresses important issues in both philosophy and politics, but points out that the particular framing of these issues in this field of work leaves in place some of the most significant problems of more traditional intellectualist ways of proceeding. Her own elaboration of the way in which intentionality depends upon feeling, rather than being ruined by it, is developed by reference to Cavell and Wittgenstein, along the lines of the account of reflective judgment that she has also discussed via Arendt before. Anyway, I’m not really doing Zerilli’s essay justice, it’s a very rich discussion that deserves reading and re-reading. At nonsite, Fred Jameson responds to commentaries on his Antinomies of Realism. Here’s the bit I liked most: “I don’t for a minute believe that neuroscience will ever achieve much more than a thorough-going mapping of that lump of meat which is the brain”. The latest issue of Perspectives on Politics has an extensive ‘debate’ section on the relevance of neurobiology to political analysis, centred on a piece from John Hebbing. Respondents include some usual suspects – George Marcus, and William Connolly, for example. My favourite response is from Linda Zerilli, and not only because she quotes me! Zerilli is the author of one of my favourite ever pieces of ‘Theory’, a wonderful ‘Cavellian’ reading of the limits of post-structuralist feminist deconstructions of foundations (it’s re-printed in her book Feminism and the Abyss of Freedom). In her contribution to this debate about neuroscience, she pinpoints the degree to which debates about the relevance of neuro-stuff and affect-stuff revolve around troubled ideas about practices of judgment, a theme of her work more broadly (see here). Zerilli’s argument about neuroscience and affect theory is part of a broader current project developing a democratic theory of judgment.